Could Biomass Be The Answer To South Africa’s Energy Problem? South Africa is experiencing a mammoth energy crisis with its debt-laden national power utility, Eskom, being unable to meet the electricity needs of the nation. After extensive periods of load shedding in 2018 and again earlier this year, it is becoming increasingly important to find an alternative source of energy. According to Marko Nokkala, senior sales manager at VTT Technical Research Centre of Finland, South Africa is in the perfect position to utilize biomass as an alternative source of energy. Should South Africa choose to delve deeper into biomass energy production, there are a few things that need to be considered. At present, a lot of biomass (such as fruit and vegetables) is utilized as food. It will, therefore, be necessary to identify alternative biomass sources that are not typically used as food, so that a food shortage is never created in the process. One alternative would be to use municipal solid waste from landfills and dumpsites as well as the wood waste from the very large and lucrative forestry industry in the country. It is also essential to keep in mind that an enormous amount of biomass will be needed to replace even a portion of the 90 million tons of coal that Eskom utilizes every year at its various power stations. There are a number of processing technologies that South Africans can utilize to turn their biomass into a sustainable energy source. Biochemical conversion involving technology such as anaerobic digestion and fermentation makes use of enzymes, microorganisms, and bacteria to breakdown the biomass into a variety of liquid or vaporous fuels. Fermentation is especially suitable when the biomass waste boasts a high sugar or water content, as is the case with a variety of agricultural wastes. By placing some focus on microbial fermentation process development, a system can effectively be created that will allow for large-scale biofuel production. Other technologies to consider include thermal methods like co-firing, pyrolysis, and gasification. Despite the various obstacles that may slow down the introduction of large-scale biomass energy production in the country, it still promises to be a viable solution to the pressing energy concern. Biomass energy production does not require any of the major infrastructures that Eskom is currently relying on. Although the initial setup will require a substantial amount of electricity, running a biomass conversion plant will cost significantly less than a coal-powered power plant in the long run. With the unemployment rate hovering around 27.1% in South Africa at present, any jobs created through the implementation of biomass energy conversion will be of great benefit to the nation. Without speedy intervention, South Africa may very soon be left in the dark. Although there are already a number of wind farms in operation in the country, the addition of biomass conversion facilities will undoubtedly be of great benefit to Africa’s southernmost country. A wide range of technologies are available for realizing the energy potential of biomass wastes, ranging from very simple systems for disposing of dry waste to more complex technologies capable of dealing with large amounts of industrial waste. Conversion routes for biomass wastes are generally thermo-chemical or bio-chemical, but may also include chemical and physical. The three principal methods of thermo-chemical conversion corresponding to each of these energy carriers are combustion in excess air, gasification in reduced air, and pyrolysis in the absence of air. Direct combustion is the best established and most commonly used technology for converting wastes to heat. During combustion, biomass is burnt in excess air to produce heat. The first stage of combustion involves the evolution of combustible vapours from wastes, which burn as flames. Steam is expanded through a conventional turbo-alternator to produce electricity. The residual material, in the form of charcoal, is burnt in a forced air supply to give more heat. Co-firing or co-combustion of biomass wastes with coal and other fossil fuels can provide a short-term, low-risk, low-cost option for producing renewable energy while simultaneously reducing the use of fossil fuels. Co-firing involves utilizing existing power generating plants that are fired with fossil fuel (generally coal), and displacing a small proportion of the fossil fuel with renewable biomass fuels. 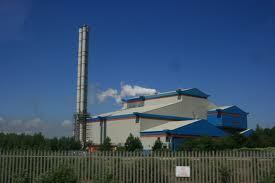 Co-firing has the major advantage of avoiding the construction of new, dedicated, waste-to-energy power plant. An existing power station is modified to accept the waste resource and utilize it to produce a minor proportion of its electricity. Gasification systems operate by heating biomass wastes in an environment where the solid waste breaks down to form a flammable gas. The gasification of biomass takes place in a restricted supply of air or oxygen at temperatures up to 1200–1300°C. The gas produced—synthesis gas, or syngas—can be cleaned, filtered, and then burned in a gas turbine in simple or combined-cycle mode, comparable to LFG or biogas produced from an anaerobic digester. The final fuel gas consists principally of carbon monoxide, hydrogen and methane with small amounts of higher hydrocarbons. This fuel gas may be burnt to generate heat; alternatively it may be processed and then used as fuel for gas-fired engines or gas turbines to drive generators. In smaller systems, the syngas can be fired in reciprocating engines, micro-turbines, Stirling engines, or fuel cells. Pyrolysis is thermal decomposition occurring in the absence of oxygen. During the pyrolysis process, biomass waste is heated either in the absence of air (i.e. indirectly), or by the partial combustion of some of the waste in a restricted air or oxygen supply. This results in the thermal decomposition of the waste to form a combination of a solid char, gas, and liquid bio-oil, which can be used as a liquid fuel or upgraded and further processed to value-added products. Biochemical processes, like anaerobic digestion, can also produce clean energy in the form of biogas which can be converted to power and heat using a gas engine. Anaerobic digestion is a series of chemical reactions during which organic material is decomposed through the metabolic pathways of naturally occurring microorganisms in an oxygen depleted environment. In addition, wastes can also yield liquid fuels, such as cellulosic ethanol and biodiesel, which can be used to replace petroleum-based fuels. Anaerobic digestion is the natural biological process which stabilizes organic waste in the absence of air and transforms it into biogas and biofertilizer. Almost any organic material can be processed with anaerobic digestion. This includes biodegradable waste materials such as municipal solid waste, animal manure, poultry litter, food wastes, sewage and industrial wastes. An anaerobic digestion plant produces two outputs, biogas and digestate, both can be further processed or utilized to produce secondary outputs. Biogas can be used for producing electricity and heat, as a natural gas substitute and also a transportation fuel. Digestate can be further processed to produce liquor and a fibrous material. The fiber, which can be processed into compost, is a bulky material with low levels of nutrients and can be used as a soil conditioner or a low level fertilizer. A variety of fuels can be produced from biomass wastes including liquid fuels, such as ethanol, methanol, biodiesel, Fischer-Tropsch diesel, and gaseous fuels, such as hydrogen and methane. The resource base for biofuel production is composed of a wide variety of forestry and agricultural resources, industrial processing residues, and municipal solid and urban wood residues. 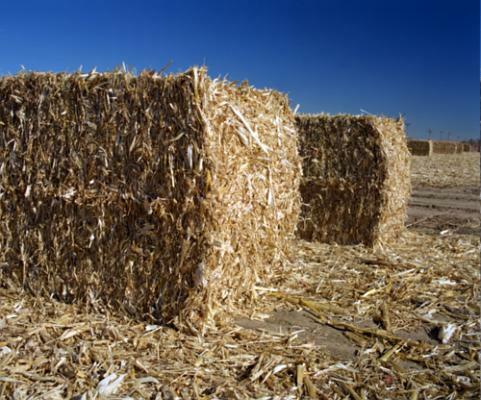 The largest potential feedstock for ethanol is lignocellulosic biomass wastes, which includes materials such as agricultural residues (corn stover, crop straws and bagasse), herbaceous crops (alfalfa, switchgrass), short rotation woody crops, forestry residues, waste paper and other wastes (municipal and industrial). The three major steps involved in cellulosic ethanol production are pretreatment, enzymatic hydrolysis, and fermentation. Biomass is pretreated to improve the accessibility of enzymes. After pretreatment, biomass undergoes enzymatic hydrolysis for conversion of polysaccharides into monomer sugars, such as glucose and xylose. Subsequently, sugars are fermented to ethanol by the use of different microorganisms. Bioethanol production from these feedstocks could be an attractive alternative for disposal of these residues. Importantly, lignocellulosic feedstocks do not interfere with food security. Biochemical conversion of biomass involves use of bacteria, microorganisms and enzymes to breakdown biomass into gaseous or liquid fuels, such as biogas or bioethanol. The most popular biochemical technologies are anaerobic digestion (or biomethanation) and fermentation. Anaerobic digestion is a series of chemical reactions during which organic material is decomposed through the metabolic pathways of naturally occurring microorganisms in an oxygen depleted environment. Biomass wastes can also yield liquid fuels, such as cellulosic ethanol, which can be used to replace petroleum-based fuels. Anaerobic digestion is the natural biological process which stabilizes organic waste in the absence of air and transforms it into biofertilizer and biogas. Anaerobic digestion is a reliable technology for the treatment of wet, organic waste. Organic waste from various sources is biochemically degraded in highly controlled, oxygen-free conditions circumstances resulting in the production of biogas which can be used to produce both electricity and heat. Almost any organic material can be processed with anaerobic digestion. This includes biodegradable waste materials such as municipal solid waste, animal manure, poultry litter, food wastes, sewage and industrial wastes. 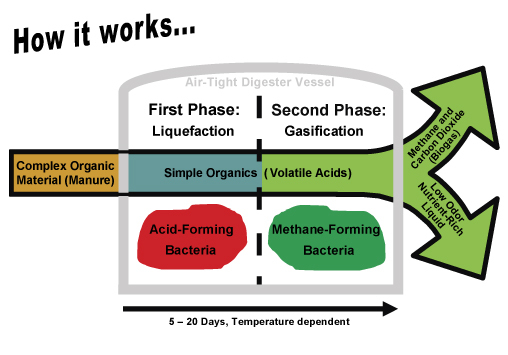 An anaerobic digestion plant produces two outputs, biogas and digestate, both can be further processed or utilized to produce secondary outputs. Biogas can be used for producing electricity and heat, as a natural gas substitute and also a transportation fuel. A combined heat and power plant system (CHP) not only generates power but also produces heat for in-house requirements to maintain desired temperature level in the digester during cold season. In Sweden, the compressed biogas is used as a transportation fuel for cars and buses. Biogas can also be upgraded and used in gas supply networks. Digestate can be further processed to produce liquor and a fibrous material. The fiber, which can be processed into compost, is a bulky material with low levels of nutrients and can be used as a soil conditioner or a low level fertilizer. A high proportion of the nutrients remain in the liquor, which can be used as a liquid fertilizer. A variety of fuels can be produced from waste resources including liquid fuels, such as ethanol, methanol, biodiesel, Fischer-Tropsch diesel, and gaseous fuels, such as hydrogen and methane. The resource base for biofuel production is composed of a wide variety of forestry and agricultural resources, industrial processing residues, and municipal solid and urban wood residues. 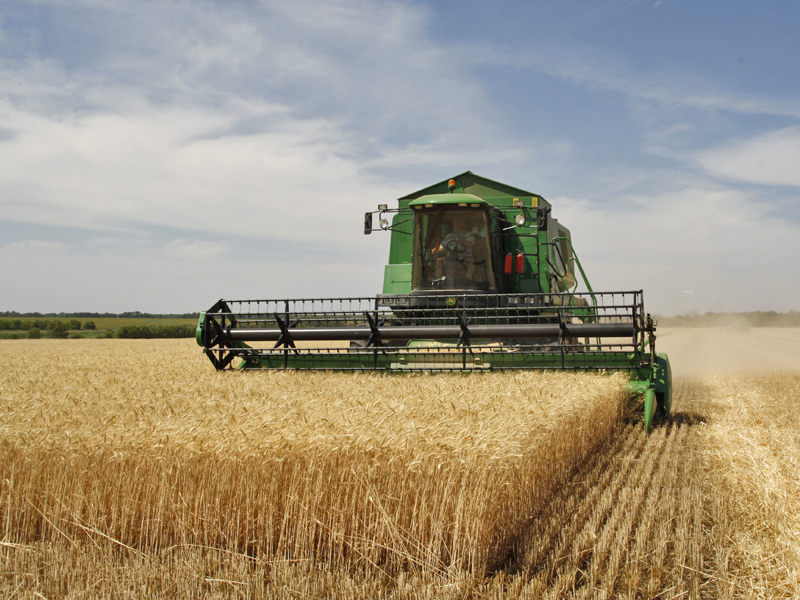 Globally, biofuels are most commonly used to power vehicles, heat homes, and for cooking. The largest potential feedstock for ethanol is lignocellulosic biomass wastes, which includes materials such as agricultural residues (corn stover, crop straws and bagasse), herbaceous crops (alfalfa, switchgrass), short rotation woody crops, forestry residues, waste paper and other wastes (municipal and industrial). Bioethanol production from these feedstocks could be an attractive alternative for disposal of these residues. Importantly, lignocellulosic feedstocks do not interfere with food security. Biofuel commercialization has proved to be costly and lingering than expected due to its high production cost and modification to flexibility in engines. Drop-in fuels are alternatives to existing liquid fuels without any significant modification in engines and infrastructures. According to IEA, “Drop-in biofuels are liquid bio-hydrocarbons that are functionally equivalent to petroleum fuels and are fully compatible with existing petroleum infrastructure”. Drop-in biofuels are can be produced from oilseeds via trans-esterification, lignocellulosic biomass via thermochemical process, sugars and alcohol via biochemical conversion or by hybrids of the above methods. Drop-in fuels encompass high hydrogen to carbon ratio with no/low sulfur and oxygen content, low water solubility and high carbon bond saturation. In short drop-in fuel is a modified fuel with close functional resemblance to fossil fuel. Existing biofuels – bioethanol and biodiesel – have wide variation from fossil fuels in their blend wall properties – high oxygen content, hydrophilicity, energy density and mainly compatibility in existing engines and infrastructures. Oxygenated groups in biofuel have a domino effect such as reduction in the energy density, production of impurities which are highly undesirable to transportation components, instability during storage etc. Reduced sulphur oxide emissions by ultra low sulphur content. Low olefin content, presence of olefin compounds undergo auto-oxidation leading to surface depositions. No oxygenates therefore has high stability. Drop-in biofuels can be produced from various biomass sources- lipids (vegetable oils, animal fats, greases, and algae) and lignocellulosic material (such as crop residues, woody biomass, and dedicated energy crops). The prominent technologies for biomass conversion to drop-in fuel are the thermochemical and the biochemical process. The major factor playing role in selection of biomass for thermochemical methods is the energy content or heating value of the material, which is correlated with ash content. Wood, wood chips accounts for less than 1% ash content, which is favorable thermal processing than biochemical process, whereas straws, husks, and majority of the other biomass have ash content ranging up to 25% of dry mass. Free sugar generating plants such as sugarcane and sweet sorghum, are desirable feedstock for Acetone-Butanol-Ethanol fermentation and have been widely implemented. Presently there is a focus to exploit lignocellulosic residues, rich in hydrocarbon, for fuel production. However, this biomass requires harsh pretreatment to remove lignin and to transform holocellulose (cellulose & hemicelluloses) into fermentable products. The lignocellulose transformation technology must be circumspectly chosen by its life cycle assessment, as it resists any changes in their structural integrity owing to its complexity. Lignocellulosic biomass, when deoxygenated, has better flexibility to turn to drop-in fuels. This is because, in its native state of the feedstock, each oxygen atom consumes two hydrogen atoms during combustion which in turn reduces effective H: C ratio. Biomass feedstock is characterized with oxygen up to 40%, and higher the oxygen content higher it has to be deoxygenated. 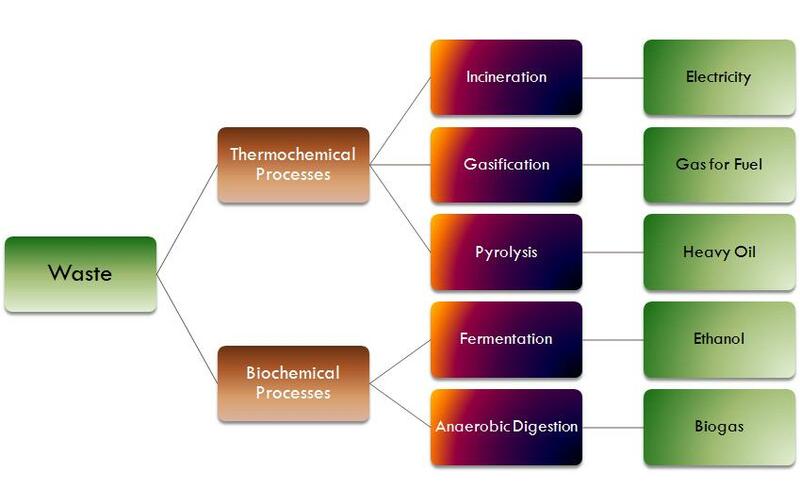 Thermochemical methods adopted for biomass are pyrolysis and gasification, on thermolysis of biomass produce intermediate gas (syngas) and liquid (bio crude) serving as precursors for drop-in fuel. Biomass when exposed to temperature of 500oC-600oC in absence of oxygen (pyrolysis) produce bio-oil, which constitutes a considerable percentage of oxygen. After down streaming by hydroprocessing (hydrotreating and hydrocracking) the rich hydrocarbon tar (bio-oil) can be converted to an efficient precursor for drop-in fuel. At a higher temperature, above 700, under controlled oxygen, biomass can be converted to liquid fuel via gas phase by the process, gasification. Syngas produced is converted to liquid fuel by Fischer-Tropsch with the help of ‘water gas shift’ for hydroprocessing. Hydroprocessing after the thermochemical method is however costly and complex process in case of pyrolysis and inefficient biomass to fuel yield with gasification process. The advanced biocatalytic processes can divert the conventional sugar-ethanol pathway and convert sugars to fatty acids. Modified microbial strain with engineered cellular machineries, can reroute the pathway to free fatty acid that can be transformed into butanol or drop-in fuel with necessary processing. Biological processing requires operation under the stressful conditions on the organisms to reroute the pathways, in additional to lowering NADPH (hydrogen) consumption. Other value added products like carboxylic acid, polyols, and alcohol in the same biological routes with lower operational requirements have higher market demands and commercial success. Therefore little attention is given by chemical manufacturers to the biological pathways for drop-in fuel production. The mechanisms of utilization of lignocellulosic biomass to fuel by biological pathway rely heavily on the availability of monomeric C5 and C6 sugars during fermentation. Ethanol is perhaps the best-known and commercially successful alcohol from ABE fermentation. However, butanol has various significant advantages over ethanol- in the perception of energy content, feasibility to existing infrastructures, zero blend wall, safety and clean aspects. Although butanol is a closer drop-in replacement, existing biofuel ethanol, is a major commercial competitor. Low yield from fermentation due to the toxicity of butanol and complexity in down streaming are the vital reasons that hamper successful large scale butanol production. Zero oxygen and sulphur content mark major challenges for production of drop-in fuels from conventional biomass. This demands high hydrogen input on the conventional biomass, with H: C ratio below 0.5, like sugar, starch, cellulose, lignocellulose to meet the effective hydrogen to carbon ratio of 2 as in drop-in fuel. This characterizes most of the existing biomass feedstock as a low-quality input for drop-in fuels. However oleochemicals like fats, oils, and lipids have closer H: C ratio to diesel, gasoline and drop-in fuels, thus easier to conversion. Oleochemical feedstock has been commercially successful, but to prolong in the platform will be a major challenge. Lipid feedstock is generally availed from crop-based vegetable oil, which is used in food sectors. Therefore availability, food security concerns, and economics are the major constraints to sustaining the raw material. Consequently switching to lignocellulosic biomass feedstock for drop-in holds on. Despite the hurdles on biomass characteristics and process technology for drop-in fuel, it is a vital requirement to switch to better replacement fuel for fossil fuel, considering environmental and economic benefits. Understanding its concepts and features, drop-in fuel, can solve existing greenhouse emission debate on current biofuels. Through crucial ambiguities existing on future of alternative fuels, drop-in fuel has a substantial potential to repute itself as an efficient sustainable eco-friendly fuel in the naear future. Neal K Van Alfen: ENCYCLOPEDIA OF AGRICULTURE AND FOOD SYSTEMS, Elsevier, Academic Press. Pablo Domínguez de María John: INDUSTRIAL BIORENEWABLES:A Practical Viewpoint: Wiley & Sons. Ram Sarup Singh, Ashok Pandey, Edgard Gnansounou: BIOFUELS- PRODUCTION AND FUTURE PERSPECTIVES, CRC Press. Satinder Kaur Brar, Saurabh Jyoti Sarma, Kannan Pakshirajan : PLATFORM CHEMICAL BIOREFINERY-FUTURE GREEN CHEMISTRY, Elsevier. Sergios Karatzos, James D. McMillan, Jack N. Saddle: Summary of IEA BIOENERGY TASK 39 REPORT-THE POTENTIAL AND CHALLENGES OF DROP-IN BIOFUELS, IEA Bioenergy. Vijai Kumar Gupta, Monika Schmoll, Minna Maki, Maria Tuohy, Marcio Antonio Mazutti: APPLICATIONS OF MICROBIAL ENGINEERING, CRC Press.